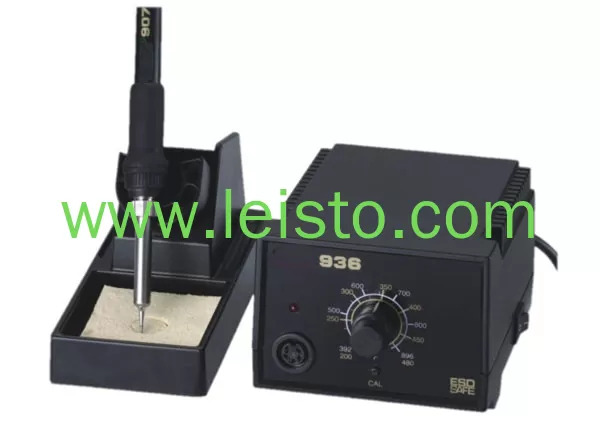 The 936 ESD soldering station is an inexpensive, temperature adjustable station that you can stack to conserve valuable bench space. ESD safe by design. Discontinued and replaced by FX-888 model. This one is 936 clone, made in China; come with 907 (medium-standard) soldering iron and iron holder. Compatible with 900M series tips. 4.7(W) x 3.7(H) x 6.7(D) in.